Croatia tourism statistics for January to July 2013 are in! Statistics for the number of visitors travelling to Croatia in the first seven months of 2013 were released today – and despite some doom and gloom and uncertainty for this year’s summer season, they do indeed still show an increase on last year’s figures. In total 6.6 million tourists – which includes both foreign and domestic – holidayed in Croatia from January to July 2013, which is an increase of 3% on the same period last year. These visitors stayed for a total of 36.5 million nights, which is an increase of 2.5%. Of these numbers, almost six million were foreign visitors to the country (up 4%), who stayed for 33 million nights (up 3.3%). The month of July alone also saw increases in visitor numbers. 1.1% more tourists visited the Croatian coast and Zagreb (the two main tourist centres in the country!) than in July 2012, 3 million visitors in total. These visitors stayed for a total of 21.3 million nights, which is also an increase of 1.1% on the same month last year. Of these numbers, 2.8m were foreign visitors (an increase of 1.7%) who stayed a total of 19.3 million nights (up 2.5%). It was away from the coast, in Zagreb, that the largest increases in visitor numbers and nights stayed was recorded. 14.6% more visitors came to Zagreb in July 2013 than in the same month last year, staying for 18.6% more nights. https://www.visit-croatia.co.uk/wp-content/uploads/2013/10/rovinj_aerial.jpg 282 425 annaz https://www.visit-croatia.co.uk/wp-content/uploads/2017/09/visit-croatia-logo5.jpg annaz2013-08-08 13:16:422018-11-26 11:43:53Croatia tourism statistics for January to July 2013 are in! 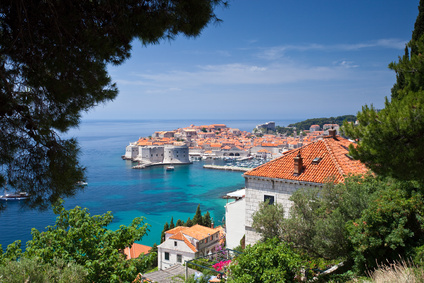 Tourist stats for January to May are in…showing more visitors to Croatia! The Croatian National Tourist Board yesterday revealed the latest set of tourist figures for the first five months of 2012 – showing that, happily, the number of visitors coming to Croatia is increasing this year too. Taking a look at the overall stats first, 1,780,688 tourists visited Croatia from January to May this year. That’s an increase of 9% in visitor numbers on the same period in 2011. Of this amount, 1,439,676 were foreign tourists (up 13%) and 341,012 were domestic tourists (down 4%). The number of nights that tourists stayed in the country is, of course, another important statistic – and for the first five months, tourists stayed for 6,047,318 nights in Croatia (up 13%), of which a rather large 5,140,959 were foreign guests (up 17%) and 906,359 by domestic ones (down 4%). So not only are more foreign tourists visiting Croatia this year so far, they’re also staying for longer! Taking a look at the main tourist spots in Croatia, Istria proved to be was the most popular county, bringing in 487,805 tourists (up 13% on the year before) who stayed for 2,055,855 nights (up 17%). The Kvarner region, meanwhile, attracted 335,028 guests (6% up), who stayed for 1,093,484 nights (9% up). All the Dalmatian counties put together drew in 664,603 tourists in total (8% up), who stayed for 2,346,267 nights (11% up) – breaking this down into the individual counties, Split-Dalmatia county attracted the most guests (231,521, 8% up) followed by Dubrovnik-Neretva county (214,025 guests, 13% up), then Zadar county (136,965 guests, 12% up) and finally Sibenik-Knin county (82,092 guests, which is 6% down on last year). Croatia’s capital, Zagreb, also posted an increase in visitor numbers for January to May this year, with a healthy 226,291 tourists visiting – 5% up – who stayed for 424,580 nights (11% up). The figures from the Croatian Tourist Board also split the statistics down into nationalities – at least, in terms of how many more of each nationality visited and the increase in the number of nights they stayed, rather than actual totals. These show growth from all nationalities, which is wonderful, of course…although perhaps any nationalities that posted negative percentages just weren’t listed! Of most interest is that there was a very healthy 54% more visitors from Japan in the first five months of the year, who stayed for 49% more nights than last year. Polish guests also arrived in increasing numbers – 49% more this year so far, staying for 53% more nights. Even German guests (who already visit the country in relatively high numbers) also upped their numbers – 40% more visited. As we’re a UK-based site, we should also highlight that there were 14% more British tourists during January to May 2012, who stayed for 17% more nights! The month of May alone also posted an increase in visitor numbers – 881,726 tourists in total arrived (17% more on May 2011), staying for 3,414,883 nights (24% up). Of this, 760,472 were foreign (21% more), accounting for 3,080,851 nights stayed (27% up). It’s the Germans that posted the best increase for the month of May – a staggering 64% more arrived in May 2012 than in the same month last year, staying for 65% more nights. I guess those reports we’ve read about healthy booking levels for Croatia amongst German tour operators and the fact that more German guests are considering visiting Croatia – either for the first time ever, or returning for the first time after the war – are true! And good on them! https://www.visit-croatia.co.uk/wp-content/uploads/2017/12/split-riva.jpg 532 800 annaz https://www.visit-croatia.co.uk/wp-content/uploads/2017/09/visit-croatia-logo5.jpg annaz2012-06-07 13:42:422018-02-27 15:48:16Tourist stats for January to May are in...showing more visitors to Croatia! A number of the newspapers in Croatia today reported on the preliminary final tourism figures for 2011, as released by the Croatian National Tourist Board – and it’s good news. Tourists holidaying in Croatia stayed for 65,116,830 nights in total – a figure that’s up 7% on 2010 – with foreign visitors staying for 58,411,864 nights (up 7%) and domestic visitors accounting for 6,704,966 nights (up 5%). Guests from Slovenia posted the highest increase in both tourist numbers – 12% – as well as the number of nights stayed when they visited the country, which went up by 11%. They were followed by visitors from Austria, of which there were 11% more in 2011, staying for 10% more nights; visitors from Germany (10% more, staying for 9% more nights); then visitors from Slovakia (7% more visitors, 8% more nights); visitors from Poland (6% more, 5% more nights); from the Czech Republic (5% more visitors who stayed for 5% more nights); and Italy (4% more visitors in 2011, 3% more nights). These figures from the Tourist Board reveal increases in visitor numbers for all Croatia’s coastal regions as well as in the city of Zagreb. Dalmatia received the most tourist arrivals, 4,913,074, which is up 6% on 2010; these visitors stayed for 29,742,157 nights in total, which is also up by 6% on the year before. Istria was the second most popular region for visitors during the year, with 3,011,316 tourists visiting (10% more), followed by the Kvarner region where 2,185,601 people chose to holiday in 2011 (8% up). By comparison to the coastal areas, the city of Zagreb received considerably less visitors in 2011 – 664,171 – but this was a healthy 10% more on the year before whilst the number of nights stayed by tourists – 1,144,278 – was also up by 10%. Tourism figures for December alone were also released today, revealing some promising increases in tourist numbers for a month that’s far removed from the peak season months of summer. 118,926 tourists visited Croatia during the month, which is 5% more than in December 2010; these tourists stayed for 295,094 nights in total, which 8% up. Not all regions posted increases for that month, however – Split-Dalmatia, Zadar and Sibenik-Knin counties all saw fewer visitors in December. Dubrovnik-Neretva county, on the other hand, saw a great 20% more visitors (12,652 visitors in total), staying for 25% more nights (31,374 nights). 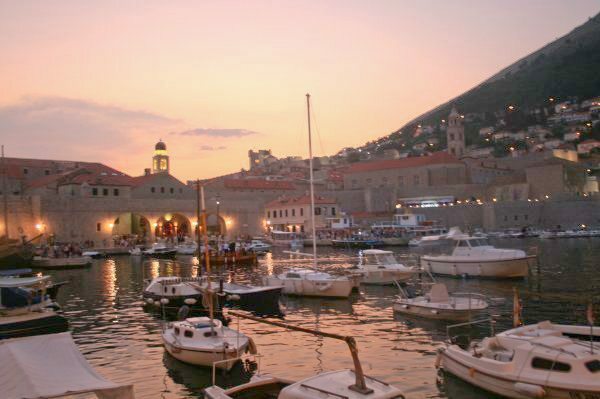 Given the push to promote the city of Dubrovnik as a year-round destination, these increases are surely a step in the right direction. The regions of Kvarner and Istria were also popular that month; Kvarner saw 24,909 tourists visit (8% up), whilst 22,505 visited Istria (9% up). Let’s hope these increasing trends continue for 2012! Folllowing yesterday’s post in which we talked about the number of British visitors to Croatia this year, newspaper reports today further discuss Croatia’s popularity amongst Brit travellers, as news, statistics and quotes emerge from the World Travel Market event currently taking place in London. What’s interesting to pick up from today’s press reports is that beyond Dubrovnik (and Dalmatia), other regions of Croatia are apparently far less popular with British visitors. Meri Matesic, head of the Croatian National Tourist Office in London was quoted by newspaper Novi List revealing the regional breakdown of British visitors to Croatia. She stated that around 60% travel to Dalmatia’s delights (aside from Dubrovnik there’s of course Split; the Makarska Riviera; and islands such as Hvar, Brac and Korcula to name just a few), with around 20% holidaying in Istria and the remaining 20% going to destinations around Zadar or on the Kvarner Riviera. However, it seems Dubrovnik’s popularity amongst Brits may simply go from strength to strength. Currently making great efforts to position itself as a year-round destination, the city is being promoted with a campaign in which it is advertised as “A City For All Seasons”. (See this photo of a recent advert in a London newspaper, and this photo of an advert we saw on the side of a London bus!) Vjesnik reports that 13 hotels are to remain open in Dubrovnik during winter, and of course regular, direct flights from the UK (there are four flights per week from London Gatwick to Dubrovnik with British Airways) mean the city is easy to reach, even just for short break. The final point of interest to pick up from today’s reports is that Ms Matesic states that Ryanair brought 12,000 passengers to Rijeka Airport with its twice-weekly flights from London Stansted this year, which she says is a good result. Given that direct flights to Rijeka Airport from the UK were reintroduced this year, it’s a promising figure. During the first day of the World Travel Market 2011 in London yesterday, statistics for the number of British visitors to Croatia this year were revealed – showing promising growth for the year. During the first 10 months of this year, 260,000 Brits travelled to Croatia which is more than the number visiting the country during the whole of last year. There were 5% more British tourists in Croatia from January to October 2011 compared to the same period in 2010, whilst the number of nights stayed by British tourists in these ten months was also 5% up on last year. More exciting than that, however, is the visitor numbers outside of the main height of the season. Healthy growth in British tourist numbers occurred during both pre- and post-season, and in this October alone, there were 17% more British visitors than in October 2010. The above figures are still some way off the pre-war days – when nearly half a million British tourists visited Croatia each year – but it is certainly a step back to the level of visitors before 1991, and especially to the number of Brits who visited out of season back in those days. We have mentioned a number of new air routes to Croatia for 2012 – see our Getting There by Air 2012 page details of all announced air routes, including new ones – and Croatian newspaper Vjesnik reports that discussions are taking place with a number of other airline companies. (We eagerly await to see what comes of this – if anything!) The newspaper reports that this year’s Jet2.com lines to Split and Dubrovnik brought 50,000 passengers from the UK. Possible negative effects from the current economic downturn on visitor numbers may be lessened – according to Vjesnik – because of the proximity of Croatia to the UK, as holidaymakers chose to holiday closer to home in tough economic times. The two-hour (or thereabouts) flight to Croatia from the UK also means the country can position itself well in the short break market. However, Vjesnik also states that some UK tour operators believe Croatia’s top category hotels are rated too generously, whilst another negative is that package holidays to the country can be more expensive than similar ones in other Mediterranean countries. Today’s Vjesnik featured an article on this year’s visitor numbers at Croatian campsites. Much has been made of the fact that Croatia has had a good tourist year in 2011, with a healthy rise in both the number of visitors and the number of nights stayed (with promising number levels arriving in pre- and post-season), although recent news has suggested that campsites haven’t fared quite as well. In particular, signs point to the fact that campsites are still receiving the vast majority of their visitors right at the peak of season, particularly during the month of August. Nevertheless, let’s take a more detailed look at the number of visitors Croatian campsites have received this year. Figures from the Croatian Camping Union show that, up until the end of August, two million tourists arrived at the country’s campsites, staying for 13.4 million nights in total – up 750,000 nights on last year. This means that there was 5.5% more arrivals and 5.9% more nights stayed on the same period in 2010. Some of the largest increases in visitors numbers were registered by campsites in the Croatian interior, indicating promising future growth for such sites. 80% of the nights stayed at Croatian campsites were by visitors from just five countries – Germany, Slovenia, The Netherlands, Italy and Austria. Domestic visitors, on the other hand, clearly aren’t ones for holidaying at campsites – during January to August this year, only around 50,000 stayed in camps, staying 391,000 nights in total. Although the number of Croatian campers did rise from 2010, they still make up a very small percentage of the total visitors – and, in fact, the number of nights they stayed this year was just 3% of the total. Taking a look over a longer-term period – from 2009 to 2011 – there was an increase in the number of and nights stayed by visitors of each of the countries of Germany, Slovenia, Austria, Poland, Belgium, Switzerland and the UK. 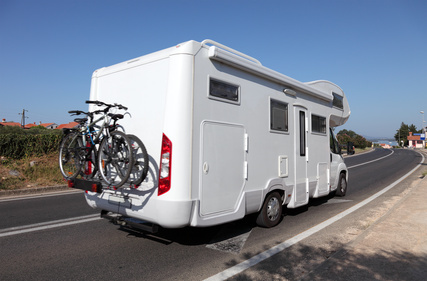 However, there was a fall in the number of nights stayed annually by camp holidaymakers from the Netherlands (down 4%), Italy (1%), Denmark (3%) and France (2%). The best performing campsites in Croatia – some even seeing visitor growth of over 10% – were those of best quality in the facilities that they offer (therefore being the most expensive to stay at!) whilst those that haven’t been as heavily invested in have had problems encouraging visitors to their sites. If you fancy staying on a campsite in Croatia during your holiday, do take a look at the excellent website of the Croatian Camping Union. They offer details of nearly 300 campsites in Croatia (the majority of those in the country are situated on the coast) with something for all sorts of budgets. Don’t forget that many sites have very good facilities – swimming pools, sports areas, facilities for children – so can be a great alternative to a hotel. At night, the famous Greeting to the Sun becomes an instant disco! More monthly tourism figures were announced in Croatia and this time round the reported figures are especially interesting as they cover the month of September – traditionally, a “transition” month for tourism as the summer crowds have packed up and gone home and activity in towns and resorts starts to wind down somewhat. Having said that, we’ve long recommended September as one of the best times of year to visit – for the reason that the busy season is over but the good weather remains! Overall, Croatia welcomed 1.27 million tourists in September, up 15.3% on the same month last year. The month saw tourists stay for 7.26 million nights in total, also up by 11.5%. Figures for the whole of the year so far have also been released – Croatia received 10.4 million tourists, who stayed for 62.7 million nights; these figures are up 7.6% and 6.7% respectively on the same period in 2010. Of the approximately 750,000 more visitors that Croatia has had so far this year, 500,000 have visited in pre- or post-season, a healthy sign that more tourists are visiting the country outside the traditional holiday months. 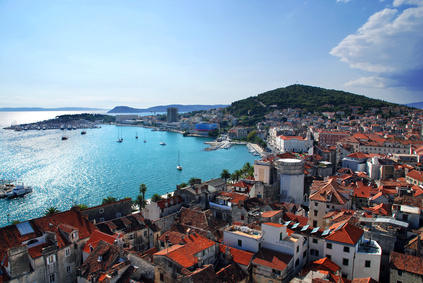 It was also revealed that Croatia earned €1.7 billion from tourism in the second quarter of 2011, up 14% on last year. Moreover, 13.6% more people were employed in the tourism industry in the country in the first seven months of the year than last year. Figures were also revealed for individual towns and resorts as well. 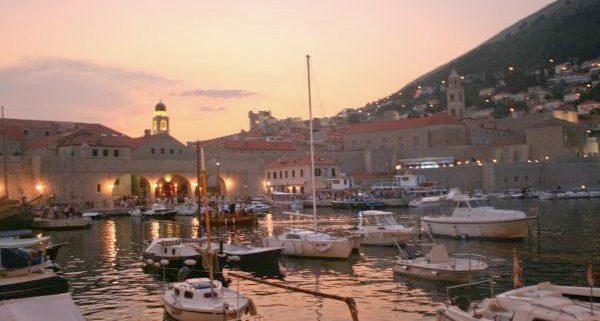 The county of Dubrovnik-Neretva – home of course to Dubrovnik and Croatia’s southernmost county – recorded 145,316 tourist arrivals during September (9% up on last September), with 695,200 nights stayed (up 11%). For the whole of the year until the end of September, the county received 977,512 arrivals (6% up on 2010) who stayed for 4,810,259 nights (5% up) in total. German, British and French tourists recored the greatest number of nights stayed, followed by domestic tourists. Of the total nights stayed in the county, 2,703,739 were in hotels (an increase of 7%), whilst campsites registered 334,150 nights, roughly the same as last year. Registered private accommodation accounted for 1,491,294 nights, a decrease of 1%. 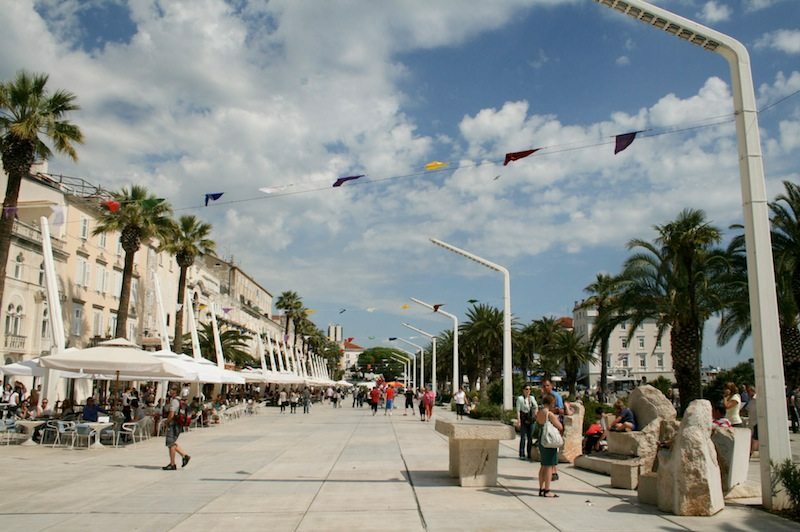 Zadar also had a successful September – the town saw 33,773 tourist arrivals during the month (up 6% on September 2010), which was made up of 29,558 foreign tourists (up 5%) and 4,215 domestic (up 17%). Tourists stayed for 112,558 nights in the area, which is a rise of 9% on the nights stayed in September last year. The most numerous guests were German visitors (5,202) then Austrians (3,284) and visitors from these two countries – unsurprisingly – were also top of the list for nights stayed. 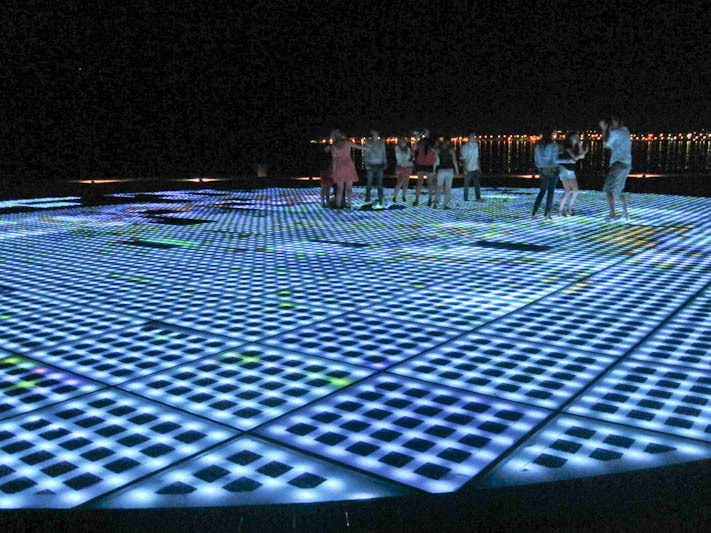 For the whole year, Zadar’s data (incomplete as it has yet to include figures from nautical tourism) shows that the town welcomed around 270,000 guests who stayed for 1.1 million nights. Zadar’s hotels have also done well this year, with 17% more guests who stayed for 29% more nights. One of the main bits of today’s tourism news – as featured in Croatian newspapers and other sources – reveals the spending habits of tourists in Croatia, shown in a survey undertaken by credit card company Visa. 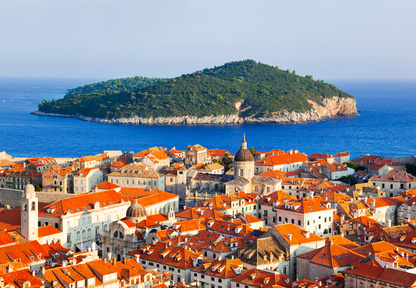 In the survey conducted in August in Dubrovnik, Split, Zadar and Zagreb amongst 500 foreign tourists, it was revealed that most foreign tourists spend between €16 and €50 per day, which includes their spending on accommodation. The same survey also asked the holidaymakers their thoughts on why they chose Croatia as a holiday destination, and their experiences on holidaying in the country. Over half of respondents said they decided to visit the country on the recommendation of friends or family (good going, friends and family! ), whilst 22.5% suggested that they made their choice from researching on the Internet. 10.5% stated the influence of the media for helping with their holiday pick. Over 50% of those that took part in the survey said they were holidaying in Croatia for at least a week; younger tourists were found to stay in one location for shorter periods of time, such as two or three days, whilst those aged between 45 and 54 were more likely to remain in the same resort for longer, in some cases for over twenty-one days. Private accommodation was the most popular type of accommodation for those surveyed – 37% stayed in private rooms, apartments and so on, whilst 30% stayed in hotels. The statistic I found the most surprising – but in a good way – was that 76.5% of those surveyed said that they organised their own holiday, with only 16% booking through a travel agency. Split is revelling in statistics that reveal very good visitor numbers for the month of July. With its great transport links by plane, train, bus and ferry, it’s no surprise that many travellers find themselves in the city – unfortunately for Split, however, many simply transit through on to other destinations. To this end, Split has worked hard to increase both visitor numbers and the amount of nights that vistors stay, and it these numbers show that it’s making steps in the right direction. Statistics reveal that around 50,000 tourists came to Split during the month of July, staying for 155,000 nights in total. This is up 24% on the number of tourist arrivals from July last year, with the number of nights up by 16%. The number of tourist arrivals compared to the number of nights stayed points to the fact that the average stay is more than three days in length. The director of the Split Tourist Board, Vedran Matosic, reveals that these healthy tourist figures hark back to 1989, the heady (pre-war) days of very large tourist numbers that Croatia longs to return to. As a comparison to more recent years, in July 2009 Split received 29,534 tourists (who stayed for 103,499 nights) which was an increase of 30% to July in the previous year when 40,726 visited (staying for 133,825 nights). Taking a look at 2011 overall so far, Split welcomed 138,000 visitors who stayed for 350,000 nights, which is up 23% on arrivals and up 10% on nights stayed on the same period in 2010. For both July itself and the whole of 2011, the most frequent visitors came from Germany, and the number of Italian visitors rose by 5% for July and by 10% for January to July. The Tourist Board director explains that the reason some tourists increased the number of nights they decide to stay in Split may be down to the range of events held in the city this summer. In particular, he points out the large-scale Discotheque Riva club event that takes place this evening, Friday 12th July (featuring famed British electronica band Faithless), as well as the 4-day Days of Diocletian event (held 19th to 22nd August) – a throwback to Roman times. Despite all this good news in Split regarding visitor numbers, that main problem the city is now facing is a lack of beds. A total of 7,658 beds – plus a further 1,230 places in campsites just outside the city – are quoted as the capacity for the city, although despite fewer beds this year than before, the number of nights has clearly gone up. An increase in private accommodation offerings is said to account for this. The average price per night for private accommodation in Split is said to be 250 Kunas, which is about £30/€33/$48.